CHINA LAKE, Calif. â Nov. 14, 2013 â Northrop Grumman Corporation (NYSE:NOC) has integrated and employed an internal miniature electronic attack payload on the Bat unmanned aircraft, marking the first time that such a system was used in operation on a Group III (small, tactical) unmanned aircraft system. The demonstration involved the jamming of radars during the Marine Aviation Weapons and Tactics Squadron One (MAWTS-1) Weapons and Tactics Instructor (WTI) event at Naval Air Weapons Station China Lake, Calif., in October. 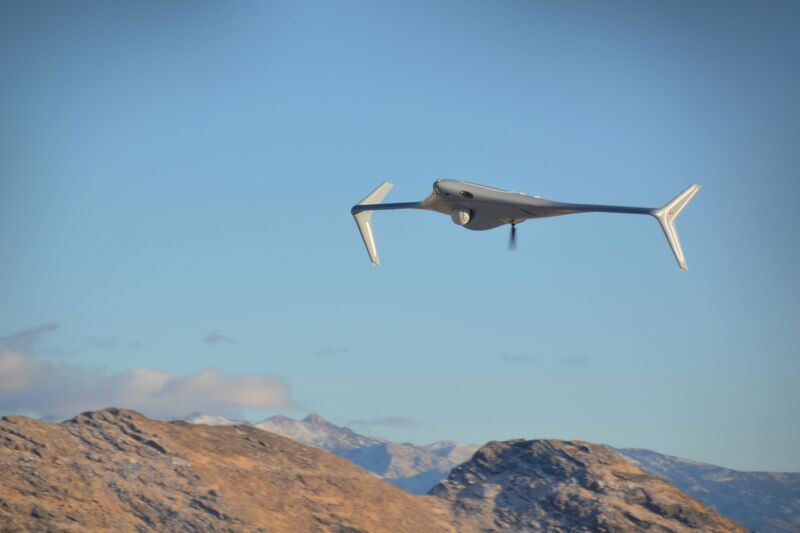 "Bat continues to demonstrate capabilities that can normally only be achieved by larger, more expensive unmanned aircraft," said George Vardoulakis, Northrop Grumman's vice president of Medium Range Tactical Systems. "Our customers now have a more mobile and affordable option for electronic warfare missions." The Pandora electronic attack payload is a low-cost derivative of Northrop Grumman's family of upgraded digital APR-39 systems. The lightweight, multifunction payload provides electronic attack, support and protection. Pandora was integrated on Bat in less than two months. During the WTI event, the Bat completed multiple flights in collaboration with fixed wing and other unmanned platforms. Bat is a tactical, runway independent unmanned aircraft that can be launched from land or sea. Its flexible design allows for quick installation of a variety of payloads and enables rapid, expeditionary deployment.